Steven M. Rowe, MD, MSPH specializes in developing new treatments for cystic fibrosis, the most common autosomal recessive genetic disease, and the cause of severe pulmonary disease affecting children and young adults. He maintains expertise in the design and conduct of clinical trials targeting the basic CF defect. Dr. Rowe also has an interest in biomarkers of CF, including ion transport and the relation between mucus stasis and inflammation. Dr. Rowe also specializes in the care of adolescent CF patients, where he directs the CF Transition Clinic, a collaborative project between the adult and pediatric CF care centers. In concert with his clinic responsibilities and clinical research interests, Dr. Rowe maintains a research laboratory specializing in the mechanisms underlying cystic fibrosis, including agents intended to rescue the basic CF defect. These studies routinely utilize cultured cells, human tissues, and mouse models. 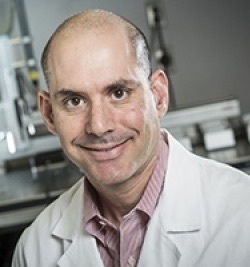 Dr. Rowe directs the Center for CFTR Detection, a National Resource Center of the CF Therapeutics Development Network, responsible for development, interpretation, and quality assurance of in vivo assays of CFTR function. Dr. Rowe is funded by the National Institutes of Health, the Cystic Fibrosis Foundation, and industry collaborators for these efforts. He also directs an International Mucus Clearance Consortium, including basic and translational scientists charged with improving the mechanistic understanding of the mucus clearance defect in cystic fibrosis, and novel means to monitor the process.